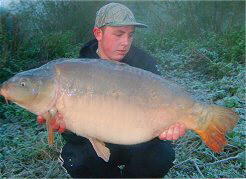 Welcome to Holyfield Carp Lakes website. You may choose from 3 lakes (Top Lake, Bottom Lake & Match Lake) also we have a stretch of the relief channel which joins the river lea. 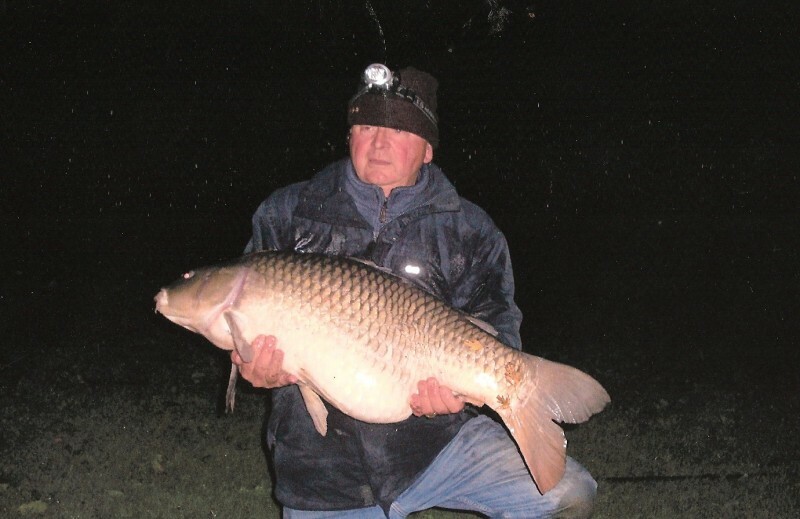 Holyfield Fishery provides toilets, a cafe and 24 hour CCTV monitoring of the car park. We offer full season memberships which run from June 16th to May 31st , or half season memberships which run from June 16th to December 31st (summer half season ) , or November 1st to May 31st ( winter half season ). Night fishing members can bring up to 2 fishing guests with them , all night fishing must be booked in advance. We also do day tickets on a pre booking basis only , to pre book your day ticket or book lake viewings or for further information please call or text Ian on 07809875083 between 9.30am to 7.30pm or email ianhearne@live.co.uk All non members entering the lakes will pay £2 each upon entry. The fishery is open 7 days a week. 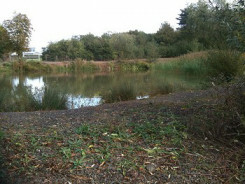 Holyfield Bottom Lake is a specimen carp lake, with carp ranging from around 8lb up to 36lb 8oz. Including Tench up to 8lb, Bream up to 14lb, Ghost carp up to 19lb, the lake itself is just under four acres with a clay/silty bottom. 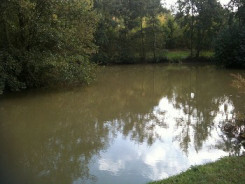 The lake is very well stocked with average sized Carp at around 23lb with approximately 200 carp in the lake . Surface fishing is only allowed between May to September using floating trout pellet or pop ups only , ( no bread or dog biscuit allowed ). Holyfield Top Lake is for over 18's only , Carp range from 1lb up to 32llb an average size of 14lb with well over 200 Carp in the lake . 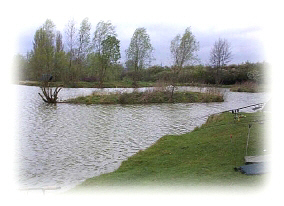 There is also Tench up 4lb, Bream up to 7lb & Ghost carp up to 8lb. The lake is approximately 3 to 5ft deep with a clay/silt bottom with some weed & Lilly pads, it also features two islands with mature trees surrounding . During the summer months, many of the fish are caught at the surface. This lake opened in 2003 and is around one acre in size. Consisting of 12 swims, the lake is very well stocked with a range of fish including Roach, Rudd, Bream, Perch, Carp and Tench.